£ 14,30 IVA 22% incl. Straight from the haute couture, SHATUSH HAIR is born as the brand GSD extension line. If you want to give a natural look to your hair, SHATUSH HAIR is the perfect choice for you. It is ideal for colour effects marked out by a gradual shading bleach of the ends with a natural outcome, without using any chemical product. 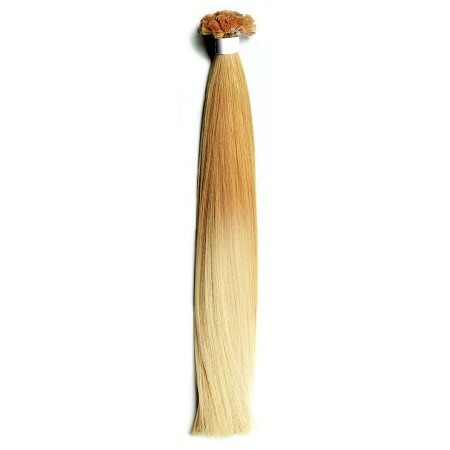 SHATUSH HAIR is available in the sizes 40/45, 50/55 cm (16/18-20/22 inches) and in 6 new colours 1 B/530 - 4/14 - 6/27 - 8/DB4 - 10/20 - DB4/1001. RECOMMENDED AMOUNT: VOLUME EFFECT 5/6 PACKS; COLOUR EFFECT - 5/6 PACKS; FULL HEAD - 12/15 PACKS.